At its most basic, a Satellite event is akin to a viewing party – where people come together to watch the live stream of TEDxSydney. It needn’t be more complicated than that, however if you are planning to host a public event; where members of your company or your community are invited to attend, then there are a few good ground rules to consider. 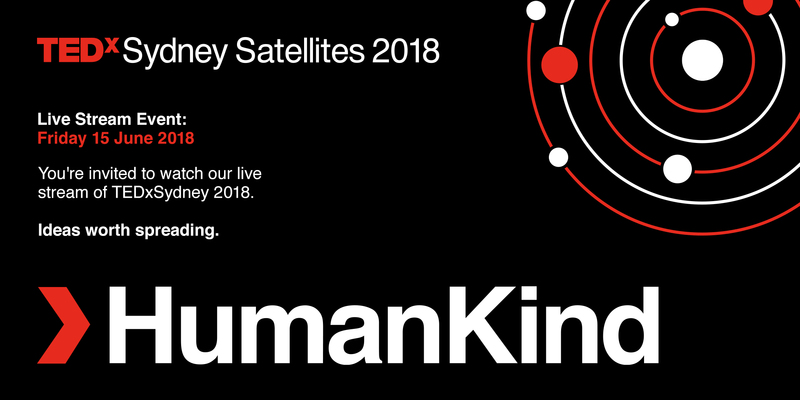 If you’re thinking about streaming the full TEDxSydney 2018 event, bear in mind that its run time is nine hours. Some of your guests may stay for the full duration – and so ask yourself: is my venue or my room the right kind of venue for that length of event? Is there sufficient comfortable seating? Are there toilets nearby? Is it relatively easy to come and go? Can guests leave the building and come back in easily enough? Is there good ventilation and sunlight? Someone needs to give the introductions and talk through the housekeeping – will that be you? A host could also facilitate Q&As in between presentations, introduce any special guests and help create a convivial and creative setting. We encourage you to consider your Satellite event as a place for discussion and debate. You’re watching a live stream, so you will need to have a reliable internet connection and a large enough screen visible to everyone in the room. If you’re using a computer screen or a projector, rather than a television, make sure you have external speakers to broadcast the sound around the room. If you want to get more specific, we’ve noted some Technical Requirements at the end of the pack. How many people will the room hold? Make sure you know what the room will comfortably hold before you start accepting RSVPs. Is your event public, or is restricted to a certain group (e.g. just the staff at your company)? If it’s restricted, make sure people know what the restrictions are when you start to publicise your event. TEDxSydney is a great opportunity to bring together talented, fun and motivated people who are passionate about the ideas being presented on stage, and have plenty of their own to share. The more diverse the guest list, the more inspiring your event is likely to be. How will people RSVP to you? Through your personal email address, or will you set one up specifically for the event? What about a phone number in case people have problems on the day? Is there a website page that people can visit for information? How will people find out about the event? We will provide official artwork includes email invites, posters, newsletter images and social media graphics for you to use. But have a think about what channels will you use to promote that the event is happening? If you are a public event, we will also list it for you on the TEDxSydney web site. The Satellite program is an extension of the event at ICC – we see them as sitting alongside, rather than outside. The live stream will reference Satellite throughout the day, and will also pick up live feeds from social media. We strongly encourage you and your guests to share photos and interact with TEDxSydney on social via #tedxsydney and follow us on Instagram, Facebook, Twitter and LinkedIn. > What’s on at TEDxSydney 2018?